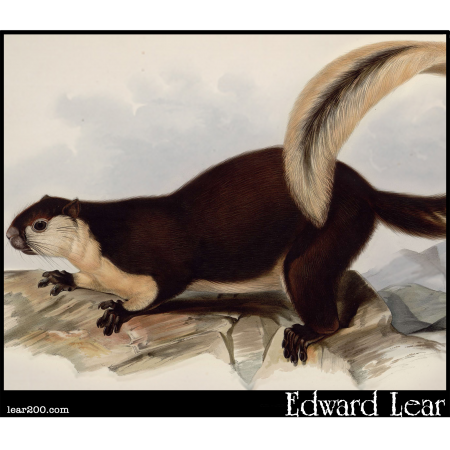 Jelerung, or Javan Squirrel | Edward Lear: Two Hundred Years of Nonsense! Jelerung or Javan Squirrel. (Sciurus Javensis.) Now called a Jelerang or a giant squirrel (Ratufa bicolor).